What makes a great hero in Inspirational romance? 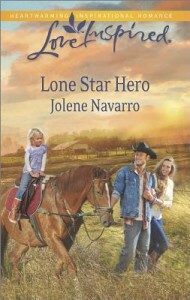 As an author of Inspirational Romance I have written numerous heroes over the years. Cowboy heroes. A Coast Guard hero. A soldier hero. Foster brother heroes. Heroes of different sizes, colors and backgrounds. I have to admit, I love the feeling when a hero comes together in all his spectacular glory. But what are the ingredients an author needs to put together to create that unforgettable, faith-driven hero? 1.) A great hero has to be flawed. Why? Because a perfect hero is a boring one. People are shaped by their life experiences, which allows writers to use back story to highlight character motivations. For instance, if a hero grew up in a home where his parents constantly bickered and fought, he might shy away from the idea of marriage. He might believe that all marriages are doomed to failure. And he may run from intimacy and the mere idea of falling in love. Or he could have self esteem issues that complicate any romantic entanglements. How can a person fully love another person if they don’t truly love themselves. 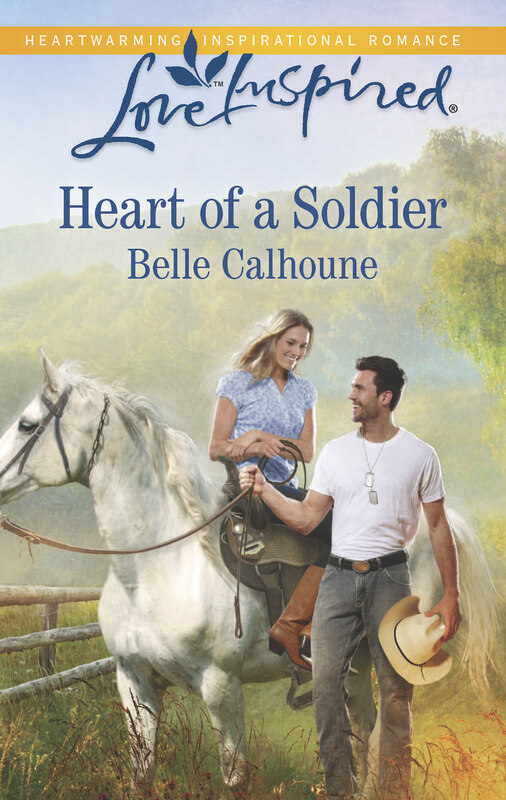 In my January release from Love Inspired, “Heart of a Soldier”, my hero, Dylan Hart, has a past relationship with his father that complicates his ability to believe in happily ever after. He’s flawed due to not being acknowledged by his father and deeply rooted feelings of not being good enough. In my latest book, “If Only In My Dreams”, the hero, Brandon Donahue, is a strong but flawed man. Although he’s reached the heights of success in the business world, he has been damaged emotionally by a childhood tragedy that still haunts him. Adding this layer to Brandon gave his character texture. Brandon’s flaw, or psychic wound, ultimately creates a desire in him to protect his brothers and Rose, the woman he falls in love with. As writers we need to create enough back story and nuances so that readers can fully understand the character motivations. If a hero is too perfect there really isn’t anything to help further the plot or justify his actions. And readers tend not to relate to perfect characters. 2.) A hero needs to be capable of transformation. 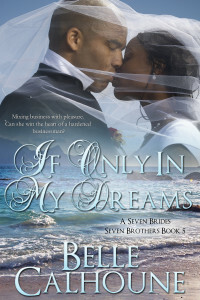 In writing Christian romance it’s about the journey of the main characters. 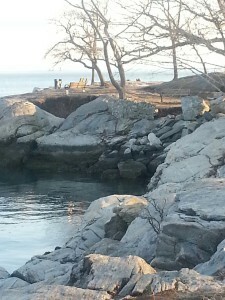 By the end of the story, the hero should have learned or experienced something life altering. The hero, as written on page one, should be changed fundamentally by the final chapter. He has to be willing to transform for love. He has to have an open heart. He has to rely on his faith in order to achieve his goal. In “The Fireman’s Secret” by Jessica Keller, the hero, Joel Palermo, returns to his hometown as a fireman in Goose Harbor. 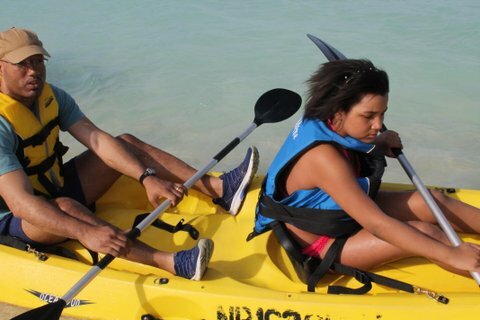 A former foster child, Joel is returning to the only place that ever felt like home. By returning to Goose Harbor he’s forced to face his past and come to terms with his youthful actions. Before leaving town as a teenager, Joel set fire to the local church, an action that disastrously affected the heroine, Shelby, who was inside the church when he set it ablaze. Joel is a character who has never felt that he was truly loved. Until Shelby. With the help of Shelby, Joel’s transformation is complete. The hero’s ability to evolve is crucial to the development of the character and the progression of the story. How uninteresting would it be if the hero remained the same throughout the novel and never changed? Love should transform the hero. His world should be all the better for having surrendered to it. 3.) A hero should have a strong moral code. He should never cross certain lines such as disrespecting the heroine, being verbally or physically abusive or overstepping the boundaries of being a gentleman. Although Alpha males are popular in romance novels, I often find that their dialogue and actions overstep the manner in which women should be treated. Being rough with a woman is not loving her. Nor is being a jealous maniac. Faith and trust go hand in hand with love. My friend, Author Jolene Navarro, created a heartwarming, tender hero in her book “Lone Star Hero” (Love Inspired). Jake Torres of Clear Water, Texas was one of my favorite heroes of 2014. Want to know why? Jake is a rugged State Trooper with a heart of gold. The way he loves the heroine, Vickie, is swoon worthy. He’s loved her since they were teenagers, even though Vickie married someone else and had a child. Now that Vickie’s marriage is done, Jake begins to believe he might have a shot with the love of his life. Sigh. Who doesn’t love a hero who has loved the heroine through decades? Jake has such a gentle way with Vickie, even when they’re at a crossroads. He respects her, adores her and treats her like his princess. And it has nothing to do with giving her material things. It has to do with supporting her, protecting her and wanting the best for her and her son. Jake has nuances as well, since he’s harboring a painful secret that he fears might cost him the respect of everyone in Clear Water. A hero with a strong moral compass and a thread of decency will make him endearing to readers. 4.) A hero should be engaged in his world. He needs to be interesting. He should have a life outside the heroine, complete with secondary characters, relatives, friends, a church he worships at, a faithful pet. He should be well rounded and balanced. Perhaps as a hobby he collects classic cars and enjoys riding around in a vintage, red Camaro in his spare time. Of course these are just examples, but when creating a hero one needs to flesh out his life so that it jumps off the page. When was the last time a boring hero made a reader turn the page? Let’s not forget that the goal for the end of the book is for the heroine and hero to be a part of each other’s worlds. Permanently. The heroine should want to be a part of the hero’s world. And that world should be full of things that are integral to who he is at his core. In my own life my husband, Randy, has a lot of interests that make him well-rounded and interesting. When he does something, he commits to it. And he does the things he loves to do, with joy. An engaged, active hero is intriguing and very loveable. 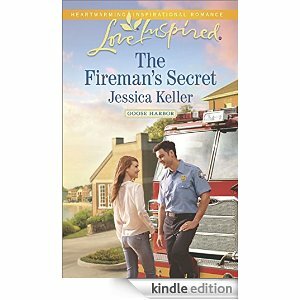 I’m giving away one copy of Jessica Keller’s February Love Inspired book, “The Fireman’s Secret” to someone who leaves a comment. Thank you for the scoop on heroes. I loved Dylan in “Heart of a Soldier”. I think I need to work on flaws my hero can grow through. Hi Becky. Thanks for stopping by. I’m so happy you loved Dylan. He is near and dear to my heart, especially because of his flaws. I always like when a hero or heroine has flaws because it raises the conflict level and adds texture. You put it exactly right. Heroes grow through their flaws and emerge stronger at the end. I absolutely love hero stories because they are real and they are true!! I have a hero in my life and it is my cousin, who is a Marine who has fought for my freedom!! He went into the military right after high school and got out 3 years ago. I am extremely great for him that he would put his life on the lines that we can Live in a place called American! And now since he has been out of the Military, he is wanting to become a cop!! I am so blessed know someone who wants too protect our country. Hi Danie. Thanks for stopping by. I love military heroes. How wonderful that you have a real-life hero in your cousin. There is nothing more heartwarming than those brave military men and women who stand up for our country and protect our freedoms. Best wishes! Hi Deanna. Welcome! I love hero stories as well. And “The Fireman’s Secret” looks awesome. I really do love a hero in uniform…and it doesn’t get much better than a fireman. Loved the blog today and hearing about the novels you mentioned. They all sound so good. Thank you for the insight on what makes a good hero. Great tips! I’ll definitely be incorporating these into my own writing. Got any tips on what makes a good heroine? Or how to create conflict between the two? Hi Meghan. Thanks for stopping by. You’re very welcome. With regards to the heroine and hero conflict, sometimes it’s fun to have them play against each other. If the hero wants nothing more than a family, but the heroine lost her family in a tragic accident and wants nothing to do with a family. That could be a conflict, especially after they fall in love. Next time up I’m going to tackle writing heroines, so stay tuned. Hi Trixi. Nice to see you over here. I think it’s important for our Inspirational Heroes to be moral men who respect and love women. It makes them all the more endearing to readers. I can’t stand a hero who is disrespectful to the heroine. Blessings to you as well, Trixi. Like to read about heroes! Hi Joan. Welcome! I love readers like yourself, because I really really really like to write strong, loving, faith-driven heroes. And it doesn’t hurt if they’re easy on the eyes. Blessings! Great discussion. Thanks so much for the shout out to Jake. I love a real Alpha – not the kind that’s a jerk, but the one that everyone will turn to in a moment of crisis. He strong instinct to protect can get him in trouble sometimes but it’s always for a good reason. Hi Jolene. I think you know how much I love Jake. He possesses all the wonderful qualities that comprise a wonderful, inspirational hero. And I like Alphas too….the strong, dedicated ones. Great stuff here! Thanks for featuring my hero, Joel, and for giving away a copy of The Fireman’s Secret!! Hey Jessica! I’m so happy to be giving away a copy of “The Fireman’s Secret.” I really have a fascination with firemen heroes and juicy storylines. You’ve got a winner on your hands. Hi Kimberly. Thanks so much. You know a lot about heroes yourself. I really love the part when the hero rises above his flaws. It really is all about the journey. And love is so worth it! Thanks for a great post, Belle. I’m just in the process of developing my next hero now, so this is perfect timing! Hi Mary. Thanks for stopping by. Yay. You’re writing another hero. I can’t wait to read your Love Inspired debut. Congrats. Belle, well said :) I agree, it’s not easy for Christian romance authors to write alpha heroes who are appealing to readers and don’t overstep the boundaries. Hi Narelle. Thank you for saying so. It isn’t easy writing Christian alpha heroes, but it is so rewarding. We just need to keep putting our heroes out there in the world. Hi Rita! Thanks for stopping by. I think it sounds awesome also. I truly enjoy a fireman as a hero. And Jessica Keller is a great writer. Blessings!